Globus offers higher assurance levels for protected data, so subscribers can easily manage this data and share it securely and appropriately with collaborators. Need to manage HIPAA-regulated data? Working with PII or CUI? No problem. 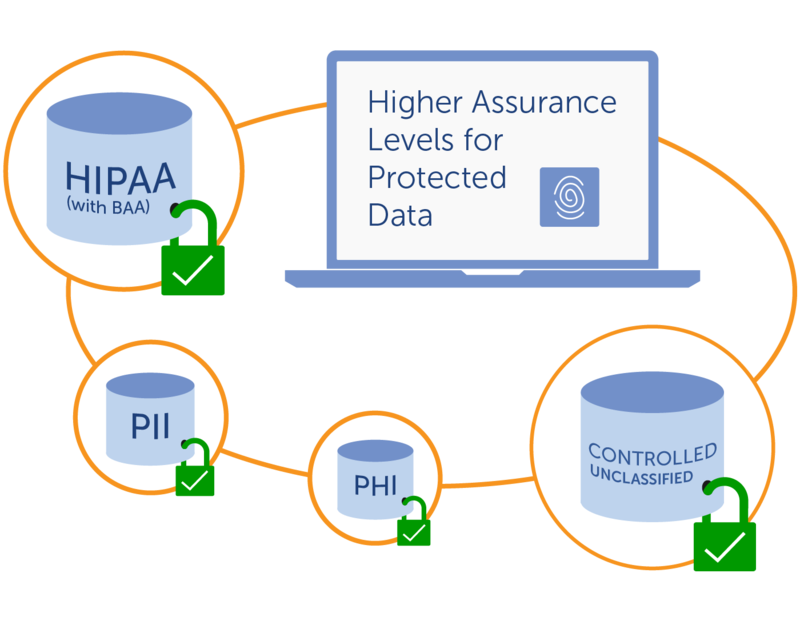 Globus supports management of Protected Health Information (PHI) including data regulated by the Health Insurance Portability and Accountability Act (HIPAA), Personally Identifiable Information (PII), and Controlled Unclassified Information (CUI). With higher assurance levels for managing restricted data, researchers can easily work with this data and share it securely and appropriately with collaborators, while meeting compliance requirements. Why Use Globus to Manage Protected Data? Layered authorization combining local security governed by system administrator with permissions set by the user to control access to protected data. Learn about subscription tiers or request pricing details for protected data. "Using Globus to manage protected data solves an urgent need for my research and for the biomedical research community across the world." Read full testimonial in the press release. Protected Data Blog: Who benefits, and what's different?